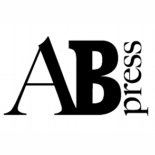 The Albion Beatnik Press in January next year will publish twenty-four books of American and British writing. Each will have been published before the Second World War, some before the twentieth century, and most have been disregarded for many decades. They will include short stories by O. Henry, E. W. Hornung, Willa Cather, Bret Harte, Sarah Orne Jewett and Alice Dunbar-Nelson (the last three are writers not so well known today this side of the Atlantic); novellas currently out of print by Henry James, E. F. Benson, Herman Melville and George Meredith; Jack London’s writing on boxing; novels by Ada Leverson, Mary Webb, Stella Benson and E. M. Delafield (the last two feature home front settings during the First World War); God’s Trombone by James Weldon Johnson with a new set of illustrations, and the poetry of Charlotte Mew. Some curiosities that perhaps might deserve to see the light of day. Included are a few titles that are self-indulgent, that is just a joy to publish — in particular a few spectacular short stories by F. Scott Fitzgerald (one of my favourite go-to writers) and Elizabeth von Arnim’s The Enchanted April. The Enchanted April is a book that has been spoilt rotten by mainstream publishers since it entered the public domain a few years ago — there are at least five proper editions that I know of before you start to count its print-on-demand and e-book equivalents. A hugely popular book, one that most booksellers would recommend to grannies, mothers and daughters (as well as, I hope, to grandads, fathers and sons). But it is a book that has special resonance for me for I read it through curiosity but also, I like to think, predestined chance. I had become intrigued by the endless copies of Elizabeth and Her German Garden that came my way as a novice second-hand bookseller. Very often no author was declared on its title page, and if there ever was it was simply ‘Elizabeth’. These editions were always in a state of considerable disrepair and were placed usually on the graveyard shelves outside the shop I was working in at the time, this prospective sale to be its last before it met a bookish grave, its gatherings all but collapsed. A few books like this, throwaway cheap editions on their last legs (a huge hint that the title or series had sold and sold in previous generations) were still in plentiful supply. Hodder’s Yellow Book Series (I haven’t seen any copy for many decades!) were hugely sought after by rotund, older gentleman who I imagined as children had similarly hunted butterflies; but if a copy was netted ever, it was always in a dishevelled state. Then there were the novels of Edgar Rice Burroughs, cheap editions of Edgar Wallace or Mazo de la Roche, books published by Tauchnitz, and threadbare William Brown books by Richmal Crompton in a distressed red cloth. But the mysterious author Elizabeth became even more of interest when, glancing at a selection of Virago books not long published, I noted on the back cover notes to books by Elizabeth von Arnim that it was she who had been the Elizabeth of Elizabeth and her German Garden fame. I read The Enchanted April perhaps out of a sense of duty (or as I said above predestined chance) and, I am pleased to say, this was a decade or more before Mike Newell’s wonderful film realization of it with Josie Lawrence, Miranda Richardson and a host of other stars. The book was wonderful. I finished it late one evening, and I remember how I awoke the next morning to such a feeling of ineffable joy and excitement that I was sure it was to be the best day of my life ahead. All because of the hangover induced by Elizabeth. ELIZABETH VON ARNIM (1866 – 1941) was born Mary Annette Beauchamp in her family’s holiday home in Sydney, Australia. Her father was an English shipping merchant whose family had successful antipodean business interest. (Mary’s cousin was Katherine Mansfield who, by the end of her life in 1923, had become a cherished companion and near neighbour to von Arnim in Switzerland; Mansfield described herself and her cousin as “worms of the same family.”) Mary moved to England when three at the behest of her father, who was anxious to provide a cultural backdrop for his growing family. She was a shy child, an avid reader, and, when not travelling in Europe, was educated mostly at Queen’s College School, renowned for its liberal and casual ethos. She was a gifted musician; her precocious skill was enhanced by study at the Royal College of Music. She had even considered becoming a professional organist. It was her organ playing whilst in Rome in 1889, on holiday there with her parents — apparently their express intent had been to find a husband appropriate for their daughter — that drew her to the attention of a widowed, Prussian aristocrat, Graf von Arnim-Schlagenthin. Well-connected in German society, his courtship included taking Mary to visit Cosima Wagner for whom Mary played the organ. The count’s ardour was not reciprocated necessarily, but they married in 1891 and had five children. An uneasy stay in Berlin was followed by a move to the countryside of Pomerania on her husband’s rundown family estate at Nassenheide where, free from the repressive rigour and social deprivation of Junker society, Mary was much happier. The marriage however was not happy. Her husband was overpowering and constantly in debt (he was arrested once). One of his worst habits was to wash his dentures in his finger bowl after each meal, and Mary found the experience of motherhood challenging; certainly she disliked giving birth, especially in Germany where medical comfort was shunned. Mary started to write, not only to escape her marriage but also to ameliorate their financial problems, and she published under the pen name of Elizabeth. Elizabeth and Her German Garden (1898) was her first book, written in diary form. It had been cut and censored by her husband, yet nonetheless It proved to be hugely popular and was reprinted twenty-one times in its first year. It draws heavily on autobiography and displays the dry wit that was to be a feature of her writing, a developed sense of irony melded together with charm and humourous observation (qualities that E. M. Forster, in a delightful description, ascribed to her in real life). Her style offered a blueprint for Barbara Pym who not surprisingly revered von Arnim’s writing. Elizabeth’s first book’s heroine, Elizabeth, mocks her husband with modesty and (almost) respect, but it is consciously done. Elizabeth prefers the tranquility of her gardening retreat rather than domestic routine and the demands of family, and finds most interruption irritating. (Her first three daughters, Evi, Liebet and Trix, appear in the novel with the generic identities of the April, May and June babies; so too “The Man of Wrath,” a disguised portrait of von Arnim’s overbearing husband.) A sequel, The Solitary Summer, followed the next year, also in diary form. In 1916, recently naturalized as a British citizen, she married Bertrand Russell’s elder brother, Frank Russell; she became known for the rest of her life as Countess Russell. In her memoir she referred to him as ”Doom”. After turmoil and bitterness they separated almost as quickly as they had courted. Russell proved to be a bully and tyrant, addicted to playing bridge and cocaine supposedly, overly reliant on Elizabeth’s income, and he had sought to keep her imprisoned inside their house; he even sued the removal firm that Elizabeth hired to collect her property from the house when she fled. She wrote to Hugh Walpole in 1926 that “I am forever and ever your loving friend Elizabeth, once Beauchamp, late Arnim, and now very unfortunately Russell.” Vera (1921) is about this disastrous second marriage. Many critics consider it to be her literary high tide; John Middleton Murry aptly called it “Wuthering Heights by Jane Austen”. Elizabeth travelled to America in 1919, there to continue a romance with a British publisher, Alexander Stuart Freres Reeves (later to become head of Heinemann), who was thirty years younger than she. He had been employed initially to catalogue her voluminous collection of books shelved in her Swiss chalet. (von Arnim’s library was huge, mostly dispersed upon her death to family and booksellers, though some of it has survived in various university libraries.) This relationship was the inspiration for the novel Love (1925). Mr. Skeffington (1940) was her last gasp of bestsellerdom. It sold especially well in the United States, where she had moved after war had broken out in Europe. It was the basis for a profitable Warner Brothers film in 1944 starring Bette Davis and Claude Rains. The studio had paid von Arnim $50,000 for the film rights. Throughout the 1930s von Arnim had lived in an itinerant fashion throughout Europe, though she was based most often in the French Alps in Mougins where she relocated her precious library. She was as self-indulgent as she was rootless, solitary or social as she chose. It appears that she was not content with ageing: she underwent a facelift, wore a wig to mask her thinning hair, and had X-ray treatment supposedly to reverse the signs of old age (with distressing medical consequence). After the war her ashes were interred with those of her brothers in the small churchyard of St. Margaret’s Church in Tylers Green, Buckinghamshire. Her memorial tablet declares: Mary Annette, Countess Russell, “Elizabeth”, Died February 9th 1941, Parva sed Apta. The Enchanted April (1922) is von Arnim’s most leisurely paced book, yet full of dynamic contrast and with a full complement of character and wonderful scenic description. Of all her books it has surely become the most popular, and of course the one most amenable to the big screen. There have been two film adaptations, in 1935 and more successfully in 1992; also it ran as a Broadway play in 1925. The story and its setting were inspired by a holiday von Arnim had taken at the Castello Brown in Portofino on the Italian Riviera. Four dissimilar women in 1920s England, each dissatisfied with their social condition, unhappy with their marriage or lack thereof, attracted by an advert in The Times, share a month stay in Italy where, despite the tensions of their staged and often angular relationships, they rediscover hope, love and a meaning to life in the beauty and calm of their environment. The end of the novel is both wondrous and uplifting; more than that, it is compelling and perhaps magical. The terms lowbrow and highbrow had entered the Oxford English Dictionary in 1906 and 1908; middlebrow as a classification of writing was first used in the late 1920s, a few years after this book was published. The Enchanted April could be the most middlebrow of von Arnim’s books, the easiest on the eye, for sure. But the book, as its author, remains almost impossible today to pigeon-hole in any cultural sense. And there is just no need to. Previous generations may have been underwhelmed by her lightweight literary stature. This may have delayed von Arnim’s reception into the bookish firmament, at least on to the Vintage Classics list. In fact her novels had all but been forgotten until Virago started to republish them in the late 1970s and 1980s. (It was Virago incidentally who settled on the name Elizabeth von Arnim, rather than just Elizabeth.) “I will write sweet simple tales yet,” wrote D. H. Lawrence to his agent, J. B. Pinker; “If only Guy Thorne would lend me his mantle for a week or two, or Lady Russell her muff!” If only she had done so. It might have been interesting. The last letter Katherine Mansfield ever posted was to her cousin. She had just read The Enchanted April and asked her, “How do you write like that? How? How?” But the question was rhetorical. Mansfield had observed previously that it “is a delectable book; the only other person who could have written it is Mozart.” She was so right. It is Mozart’s carefree delight and his refined, instinctive form that tiptoes above the text, Mozart’s irreverence for self yet respect for others, and Mozart’s adorned simplicity and taste — and before all else it is good taste — which define this book so clearly. It is good to see this enthusiasm for the works of ‘Elizabeth’ (von Arnim), and it is also great to know that Elizabeth’s novel ‘The Enchanted April’ is being promoted here. Please note that this and more information on Elizabeth von Arnim is available on the Elizabeth von Arnim Society website, http://elizabethvonarnimsociety.org/ where you will find details of events and other items of interest to von Arnim-enthusiasts. I would like to mention too that my biography of Elizabeth von Arnim, ‘Elizabeth of the German Garden’, is still available for sale on the website of the Katherine Mansfield Society (Shop). This entry was posted on 18th July 2018 by admin in AlbionBeatnik, book review, books, Elizabeth von Arnim and tagged Albion Beatnik Press, All the Dogs of My Life, Bertrand Russell, Christine, Countess Russell, Elizabeth and Her German Garden, Elizabeth von Arnim, Frank Russell, Graf von Arnim-Schlagenthin, Katherine Mansfield, Mary Annette Beauchamp, Mr. Skeffington, Nassenheide, The Enchanted April, The Solitary Summer, Vera.